Forget gym membership, all you need to get fit is a good fitness DVD and a motivation to do it regularly in the comfort of your own home. 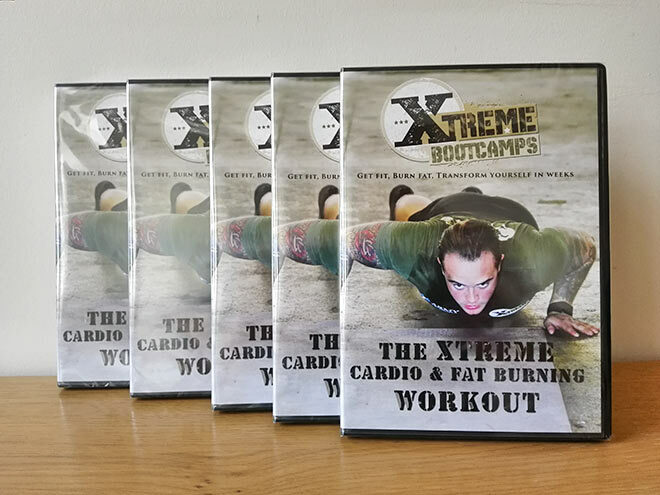 I was lucky to discover The Xtreme Boot Camps who kindly sent me their first fitness DVD for me to try and review on my blog. This came at a perfect time – just when I wanted to lose some weight and was lacking the motivation to go to the gym and do extra exercises at home (on top of my regular cycling workout on the way to work and back). By the time you can complete this workout you will be in the best shape you’ve ever been. For somebody who hasn’t exercised in a while the warm-up may feel a little bit hard once you get into heart-pumping exercises, but don’t worry, just keep going and do your best. With time, the warm-up will feel a piece of cake and really easy comparing to the main workout. The following section, a leg workout, will really challenge all your muscles. I found burpees and mountain climbers really hard in the beginning. I would get out of breath quite a few times and had to pause the DVD in order to catch my breath back, before continuing with the exercise. Yes, it’s hard and you will struggle but just do as much as you can and pause the DVD as needed. I found the upper body workout the hardest as I don’t have that much strength in my arms but men will find it much easier I believe. The finisher was a challenge on its own but it gets easier with time as you get fitter. It really doesn’t matter if you pause the DVD for short breaks when needed; the aim is to do as much as you can. 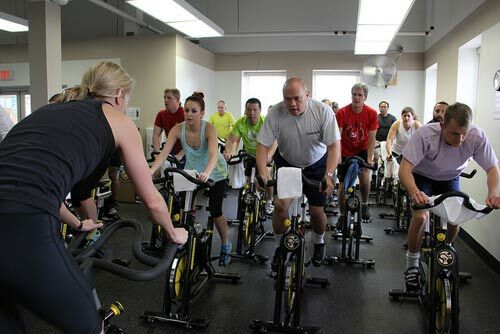 If you can do a maximum of 20 minutes of exercise in total at first try, well done! It’s an achievement on its own because these exercises ARE tough. It took me more than a few weeks before I managed to complete the whole DVD and yet, I haven’t completed it with their pace and I couldn’t do all those arm workouts as I just didn’t have the strength. But I was happy. With time I was getting stronger, fitter and felt out of breath less often. I was progressing, that’s the main thing. And that’s how you should see it too, if you decide to give this DVD a go (or if you win it through this blog). If you can do 5 minutes more of exercise every time you follow this DVD, that’s a progress. If exercises don’t feel as difficult as they did in the beginning, that’s a progress. And if you can get to the end of the workout, also if you had to pause the video a few times to catch your breath, that’s a victory! Do this DVD three times a week and you will start seeing a big difference. I’ve been mostly doing it at least twice a week as that’s what I had time for. But if you could do it more often, even better. Results will come quicker. More strength, flatter belly, stronger legs, harder abs. These are the results I achieved and that’s what you can achieve too. Just be consistent. And if you want to lose weight follow these tips from my previous post. More strength, flatter belly, stronger legs, harder abs. These are the results I achieved and that’s what you can achieve too. 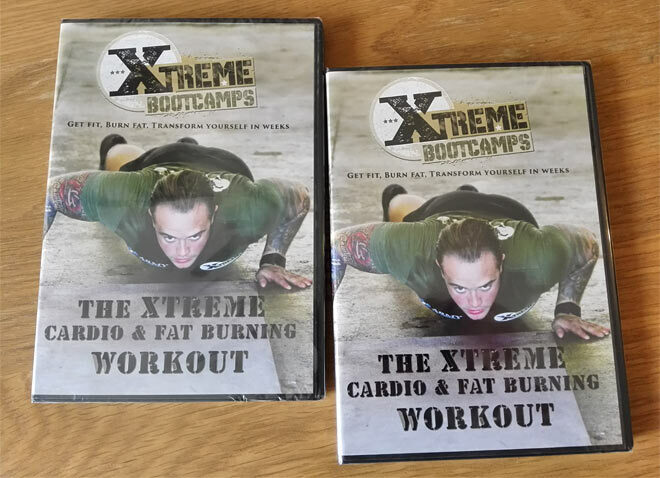 So… if you really want to get fit and lose some weight or fat at the same time, then this is THE fitness DVD to try. No gym, no equipment needed, just you and some motivation. 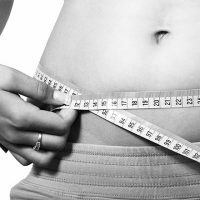 Due to the intense exercise, this fitness DVD is not suitable for everybody and if you have any kind of health issues you should consult your doctor first before attempting this kind of exercise. If you suffered from any kind of injuries in the past you really have to be careful and make sure you perform all the exercises correctly. The wrong form could cause further injuries. Avoid exercises which you believe could aggravate your old injuries and if you have any pains, stop immediately. I actually avoided doing jumping lunges as these are not great for my knees – instead, I did the normal lunges instead.